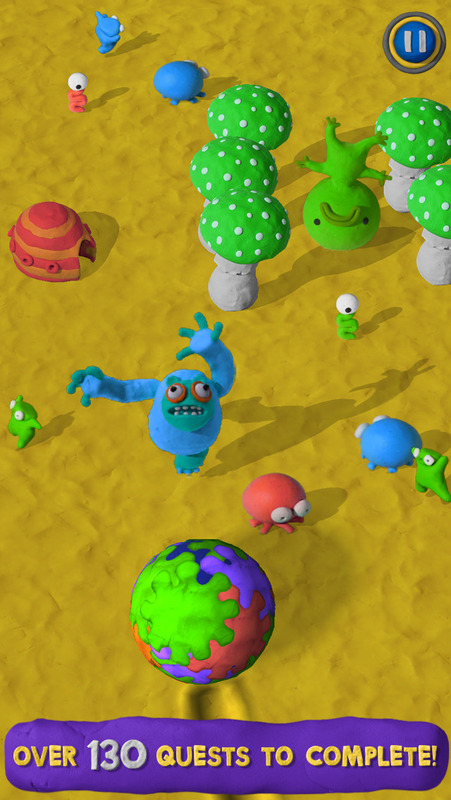 Save the land of Clay Jam from the fearsome Bully Beasts in this fun-packed action game. Nominated for the Pocket Gamer awards! Full of character and colour, Clay Jam is easy to pick up and very hard to put down. It’s also one of the most refreshing freemium games around, rewarding you for continual play rather than punishing you for not spending money. An incredible artistic and technical achievement with very satisfying gameplay and progression. … every lovingly-molded inch of Clay Jam is an uncanny delight. 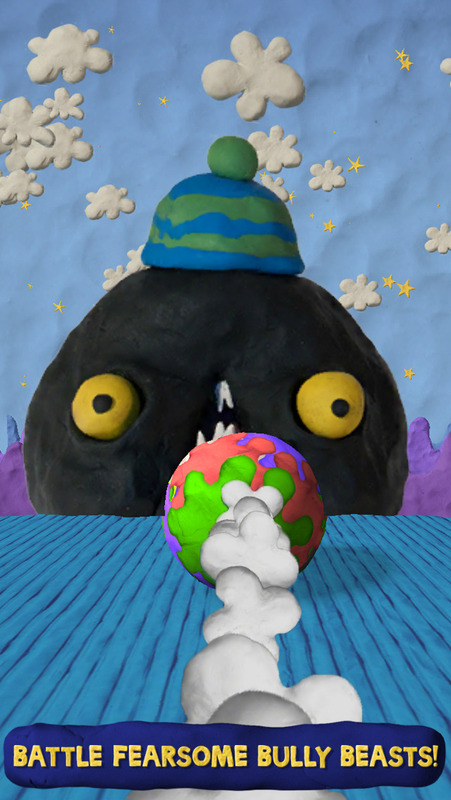 Clay Jam is a very rare treat on the App Store. It’s refreshingly different from the rest of the pack, plays like a dream, and is balanced so perfectly that both kids and adults alike will get a suitable level of challenge from the game. Download this immediately. … Clay Jam is an extremely satisfying experience shaped from mounds of sheer joy. 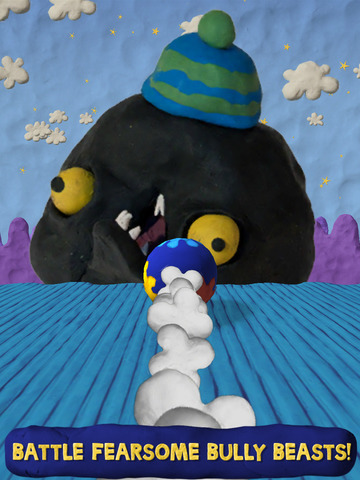 Guide Fat Pebble as he rolls down five weird and wonderful hills in a world made entirely from clay! Squash monsters on the way, and he’ll grow and grow and GROW! Get all the way to the bottom of the hill and meet the nasty Bully Beasts. 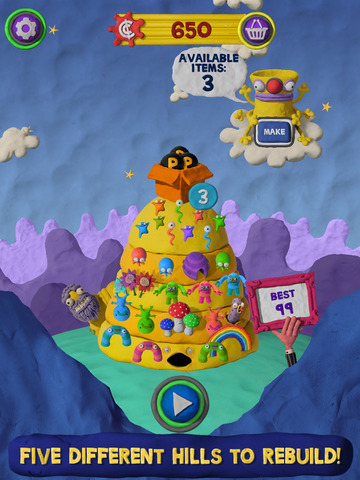 Can you collect enough clay to free the monsters and save Clay Jam?! PLEASE NOTE! This game is free and you can play it without spending any money. You can however spend real money on in-game items. If you don’t want to use this feature, please disable it in your device’s settings. ● EVERYTHING in the game is made from real clay! Note: If you are experiencing any crashes, please try shutting down any running apps and restarting the device. Clay Jam works on iPhone (3Gs and later), iPad (all iPads) and iPod touch (3G and later) and runs on iOS 4.3 or later. WildBuddies - meet friends, find dates and have fun! Eboticon Emojis - Hilarious animated emoticon/emoji/gifs that act like we do!